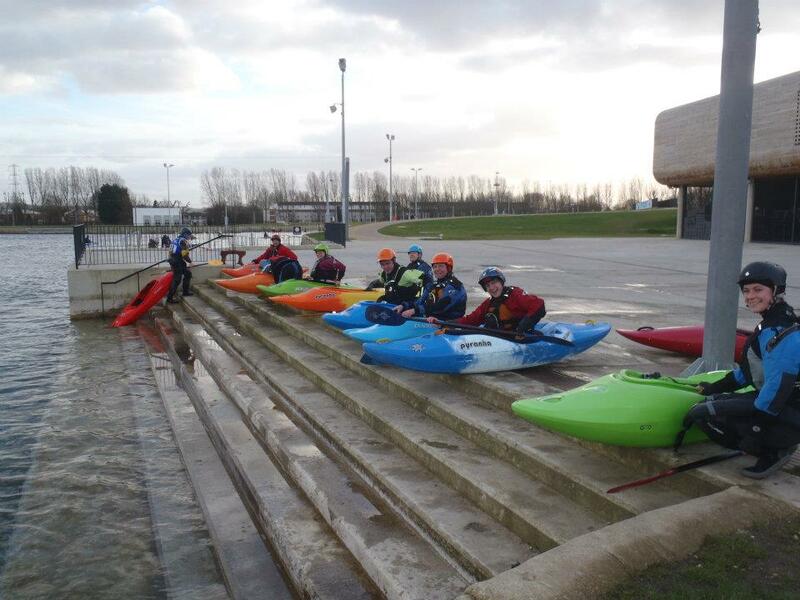 After the runaway success of last year’s trip to the national whitewater centre at Lee Valley, Battersea Canoe Club took again to the Legacy course, this time in the company of Putney Canoe Club and Chelsea Kayak Club. Last year we visited on a glorious day hot enough to wear t-shirts and the clear, cool water looked enticing. This time it was cold. I learned this the hard way when, paddling a boat I’d never been in before, I swam almost instantly. My head felt as if I’d eaten a massive ice-cream sundae. After that, I stayed firmly wedged in the boat. On the plus side, it was a great incentive to practice rolling. It started off a bit chaotically, with paddlers lined up on the escalator like battery chickens going to the slaughter, followed by a mass exodus out of their boats. But the levels dipped whenever the Olympic course was turned off, and for some this was a welcome reprieve and a chance to learn the course without the intimidating higher water. 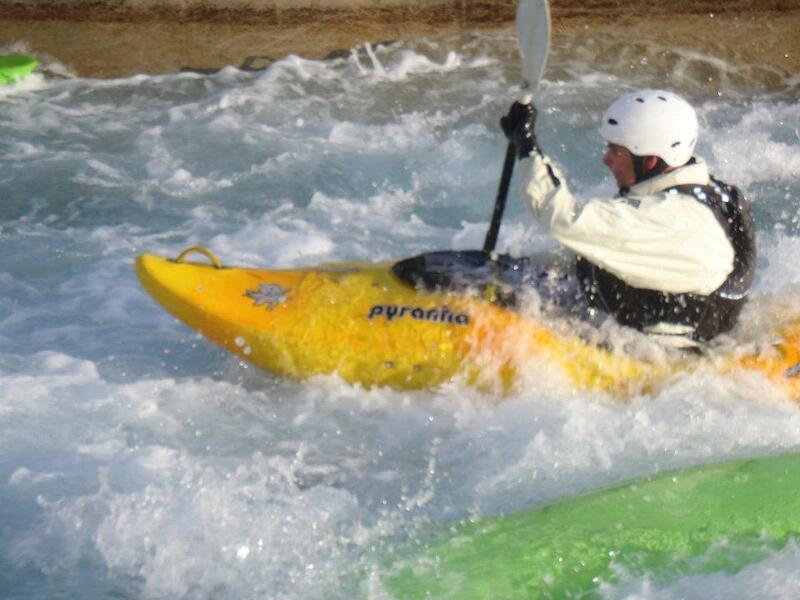 It was the first time on the legacy course for many paddlers and the first time ever on whitewater for some. While some of our more experienced paddlers braved the Olympic course, it was clear how far our beginners have come on. Last time I was asked to demonstrate breaking out to Kieran; this time he was nudging the bottom wave fearlessly. At last the sun came out, and the two-hour session ended with well-deserved hot chocolate. Another cracking trip Battersea - let's do it again before those damn Olympians get their mitts on the place. View Olwen's pics on Facebook.